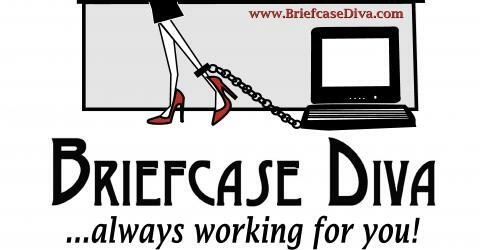 Guest Blogger Alaina Frederick Regarding CPSIA | BriefcaseDiva...Always Working for You! Looking for a VA or Wanting to Outsource? Duong on Winter Weight Gain – Why Does It Happen And What Can We Do? Winter Weight Gain – Why Does It Happen And What Can We Do? Alaina Frederick of Dinkers & Giggles is our Guest Blogger. Thank you Alaina! I want to ask you to take a moment and look around your room. How many items do you see for your kids that were made by you, friends, perhaps bought at a fair or online. How many are homemade or made by smaller companies? If your house is anything like mine then you have lots of wooden toys, handmade animals and stuffed items, wall decor, clothing, cloth diapers, shoes, hats, scarfs, car seat covers, the list could go on and on that were made by work at home parents or smaller companies. High quality items made with love and attention that no machine or oversea factory can duplicate. Now all the beloved toys, shoes, pretty hair ties and amazing wall decor are in jeopardy of no longer existing as well know it. The Consumer Product Safety Improvement Act (CPSIA) is beginning on February 10th, 2009 to enforce new testing laws. As I understand it the new laws will make it so that a hair bow that Sally Jane makes and sells for only $5 will cost her hundreds of dollars to have it tested for lead. Sally Jane uses ribbon and barrettes that she buys from hobby stores and crafts it into beautiful and cute bows for your little girls hair. Now with this new test Sally would have to pay $75+ for that ONE bow to be tested. I don’t know about you but a $75+ bow for a little girls hair is a little much. It will cause numbers upon numbers of small businesses and hobbiests to no longer do what they love – loosing a source of income and even jobs for the larger of the small businesses. I’m hardely even touching on the snowball effect that this will have, not to mention the millions of dollars worth of product that is already made that will be retroactive under this new law that will be thrown into landfills. What can you do to help? Still confused as I am? Join me Wednesday January 28th 2009 at 2pm EST at http://blogtalkradio.com/divatalkradio and listen to some special guests who will help clear up all of this mass amount of information. Want to act now? Make just 3 phone calls and your voice will be heard! Call One: Call Rep. Henry Waxman and ask the receptionist to postpone the CPSIA deadlines! Tell them you know only he has the authority to make it happen! New Show Coming Feb 5th 2009!